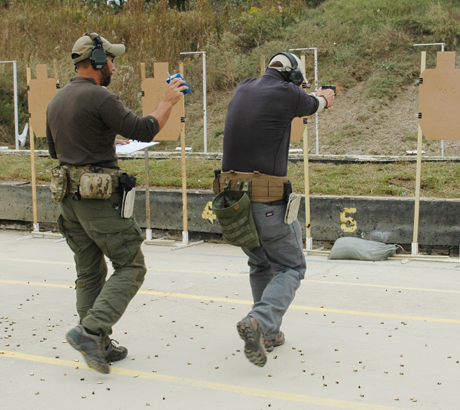 We have designed the Pistol Workshop to give the shooter an outlet to practice and hone their skills. The day will not consist of any formal instruction as our customers are used to, rather it will be an action packed day of shooting drills that will require the use of all the skills you have learned with us to this point, all under the watchful eyes of VATA instructors who will provide fault checking and our ever-famous motivational speaking techniques (yelling at and berating you). We estimate that we will shoot approximately 500 rounds per day, which will vary between classes and shooters. We know that is a lot of ammo to spare right now, so we will allow students to show up with less than 500 rounds, but it will be up to each student to manage their ammo throughout the day.